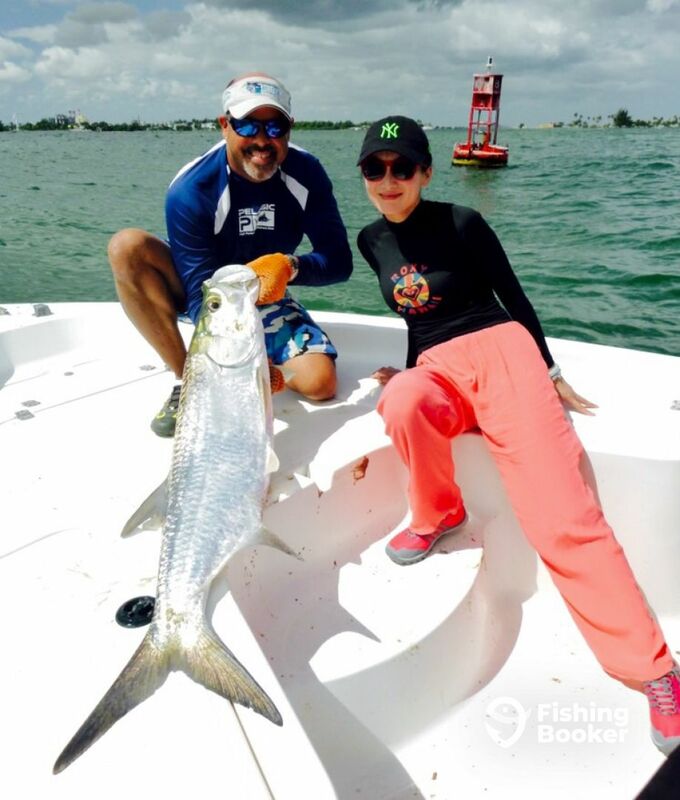 February 17, 2015 by Luis Umpierre Jr. and Luis Umpierre Sr.
Congratulations to Quang and his family for a 100% hook up ratio Tarpon fishing day! The conditions where tough around the bay today due to a “Cold Front”. Then again, it was 82 degrees with waves under 2 feet high :). Yes, sounds strange but I’m happy to say that the coldest it gets here is around 79 degrees and that is freezing for most people in Puerto Rico. The front produced lots of underwater currents that slowed down the bite due to poor visibility but thanks to five Pelicans diving for food, we ran into a 100 lbs pound Monster Tarpon. Quang’s fight took over 45 minutes and we successfully ended touching the leader and even the Monster’s mouth. It wasn’t an easy task cause the beast ended up breaking the reel but with an increadible team effort we ended up tiping the leader. Sucess! Then after a few more drifts in front of the magestic and iconic “El Morro” fortress, we ended up hooking and releasing another Tarpon shown on the following photo (estimated at over 50 pounds). The big ones are here! 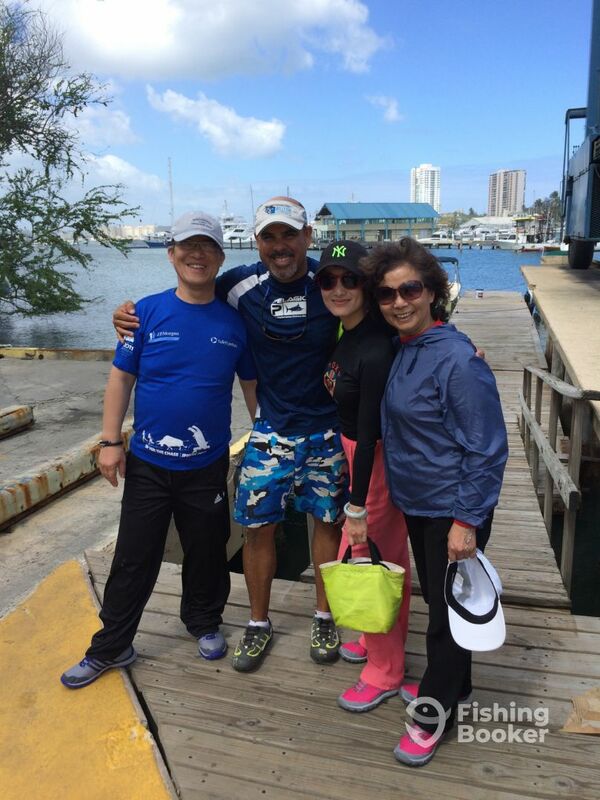 Grateful for allowing us to serve and for doing our share on your new and unforgettable fishing stories at the San Juan Bay Puerto Rico.